Kansas Association of School Boards Advocacy and Communications team brings you semi-regular updates from Topeka, KS on current issues affecting K-12 Education. 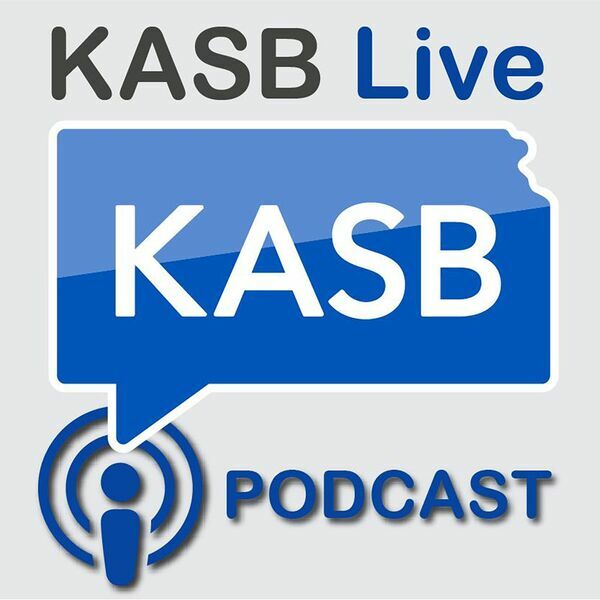 Follow the KASB Live Podcast for the most recent reports and discussions with Mark Tallman, Scott Rothschild, Leah Fliter, Rob Gilligan and other guests as available. Mark Tallman offers insights on how increased funding for K-12 Education in Kansas will help improve student success and outcomes. Mark Tallman reviews his most recent blog looking at how States compare based on Education, Income, Poverty and K-12 Funding. Mark Tallman gives a breakdown of the updated numbers on K-12 Finance in Kansas and what the bigger picture looks like overtime for both schools and the Kansas Taxpayer. Mark Tallman sits down with Dr. Doug Moeckel to discuss recently released K-12 Finance numbers and what that means to the operations of schools. KASB's Mark Tallman takes a deeper dive into Non-Instructional Spending by Kansas School Districts in comparison to other states. KASB Associate Executive Director Mark Tallman takes a look at K-12 education spending in Kansas and what it means to "Spend in the Classroom"
KASB Advocacy staff reviews Kansas Primary Election results and what that indicates for Education related issues moving forward. Mark Tallman and Scott Rothschild explain how the Bond & Interest State Aid weighting works for districts and how those resources are used for education. Mark Tallman and Scott Rothschild talk about the State Board of Educations funding recommendations in response to the Gannon VI Ruling. Ask KASB: How does Kansas Compare to other states in property tax for schools? KASB General Counsel Donna Whiteman joins Mark Tallman for an analysis and discussion on the recently released Kansas Supreme Court Ruling in the Gannon Case. Mark Tallman and Donna Whiteman discuss the oral arguments in response to the Gannon V ruling before the Kansas Supreme Court. Mark Tallman and Scott Rothschild provide a session recap and breakdown of the key issues the Kansas Legislature covered this year. Mark Tallman and Scott Rothschild update on the start of the #ksleg Veto session. Details on different school funding plans, budget proposals and where things might go from here. Mark Tallman visits with Kansas Legislative Research Chief Economist Chris Courtwright about the new Consensus Revenue Estimates released on Friday April 20th. The KASB Advocacy Team walks through the recently passed school finance plan and recaps the key stories from the spring in Topeka. All content © 2019 KASB Live Podcast.